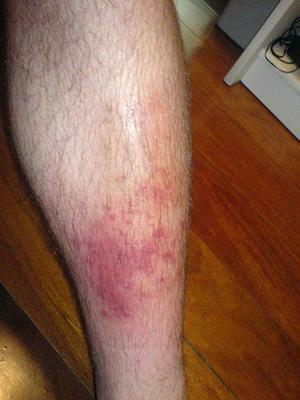 I used this product to eradicate my cellulitis in my legs. Great product with unlimited healing properties! Thanks Doug for sharing your testimonial about using colloidal silver to heal your cellulitis! While I've never had cellulitis myself, I keep reading about how colloidal silver hydrosol can quickly take care of many skin infections and ailments such as MRSA, cellulitis, bug bites, abrasions, acne, and more, even pink eye. In order to help customer friends use our colloidal silver externally, we offer a variety of sizes of fine mist spray bottles, eye droppers and a flask to make it easy to dispense. Another great way to use colloidal silver hydrosol is to mix Lavender Essential Oil (also antibiotic) with it. Of course, you have to shake vigorously before each use to mix the oil and water, or what I like to do is tap the spray bottle on a hard surface like a countertop. I first shake the bottle, then strike it on the countertop and before long the fluid becomes cloudy meaning the oil is emulsified into the water. Thanks again for a great testimonial and thanks for supporting our health mission with your patronage!